Here is an example that I run across quite frequently. Let's say Mike is an electrician and he works at a pulp and paper plant. Mike has learned about the hazard of arc flash and the plant has labeled all the electrical equipment with the incident energy levels. In the morning Mike needs to open a 13.8kV disconnect. In the afternoon he needs to perform a voltage check on a 600V starter. Which task was Mike more likely to have suited up in arc flash equipment? That's right... the 13.8kV disconnect task. For some reason, Mike has it in his head that 13.8kV switchgear is very dangerous and 600V equipment is not so dangerous. When it comes to arc flash, "danger" is not based on equipment type or voltage level it's based on the task you are doing! Operating a disconnect, no matter what the voltage level, is considered a normal operation of the equipment, therefore not likely to cause an arc flash incident. On the other hand performing voltage checks is not considered a normal operation, therefore more likely to cause an arc flash incident. Was the equipment designed by the manufacturer to operate in this manner? If the answer is yes then the task is considered a normal operation. But... we do that all the time while energized. Certain "routine" tasks that happen every day in facilities all over the world were never designed to be done while the equipment was energized. Often the equipment was designed to perform a function while running but little thought was given to human interaction with the equipment in an operating facility. Taking it one step further it was almost never designed with human protection in mind. I'm not saying that the equipment is unsafe, I'm sure it was built to code and therefore will not self-destruct during operation. 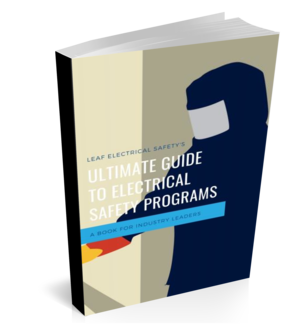 What I am saying is that it was never designed to be safe while electricians are performing certain routine tasks on the equipment, tasks like testing and troubleshooting, racking breakers, and removing or installing buckets. there is no evidence of impending failure. I'm not going to spend time going through each of these points because I think they are all self-explanatory. What I am going to do is go through some more examples of common tasks and discuss why or why not they could be considered a normal operation. I'm going to take the tasks from Table 4A in CSAZ462-15. This is a normal operation of the equipment. It was designed to be operated in this manner while the equipment is energized. This one is kind of a give away because the term normal operation is in the title but this is a very important one! Circuit breakers, switches, contactors, and starters were all designed by their respective manufacturers to be operated when the equipment is energized. Let that sink in because it's going to save you a lot of time and headache with you electrical safety program if you get this one right. As long as the 5 criteria above are met, then performing these tasks are perfectly safe and not likely to cause an arc flash incident. Not normal. It doesn't matter what type of equipment you are working on it was never designed to have people poking and prodding around while it is energized. It's designed to sit there in an enclosed metal box operate under the conditions specified on the equipment tag. Look it up in your manufacturer's operating guide, I'd put money on it that this task is not recommended to be done while the equipment is energized. The sad part is that this is done all the time! This goes back to where I was talking about equipment not really being designed for human interacting in an operating facility. The reason this happens so often is that plants do not want to shut down an entire process line just for one bucket, but the way the electrical system is designed it's impossible to do so. At the end of the day, it doesn't matter, this task should never be done on energized equipment, it is not a normal operation. What else is considered normal operation? I've only listed a few of the tasks outlined in CSAZ462-15 Table 4A but if you have any questions please feel free to contact me or ask your question in the comments section below. I'd be happy to answer them.